In fact this the evidnce of confession - Russia occupied part of Ukraine and uses mercenaries along with own troops to minimise losses. 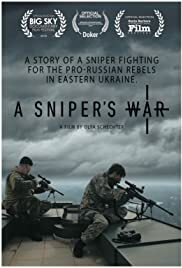 This movie muts be removed form IMDB as a terrorists propaganda but has to be kept as an evidence for international court. 93 of 141 people found this review helpful. Was this review helpful to you?